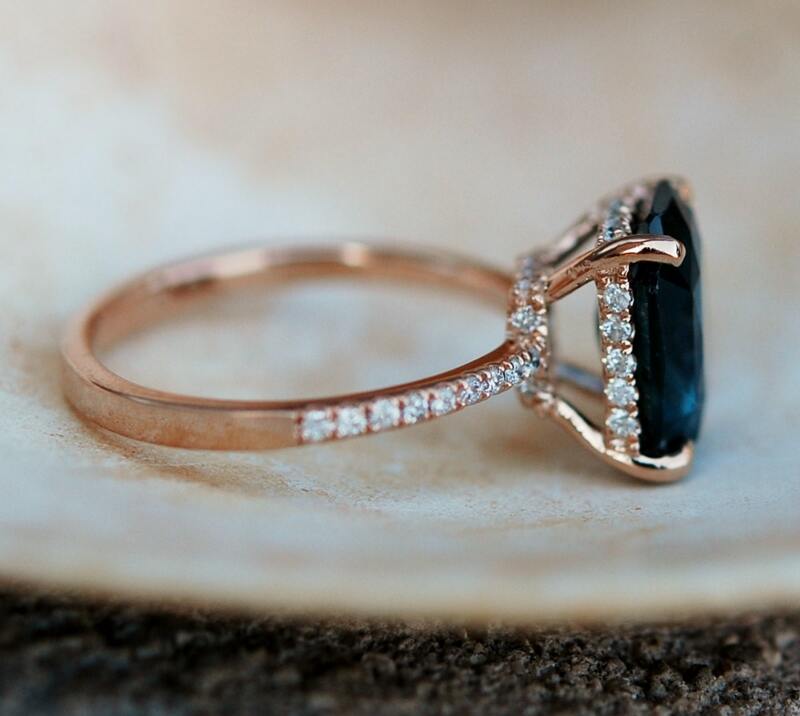 Peacock sapphire engagement ring. 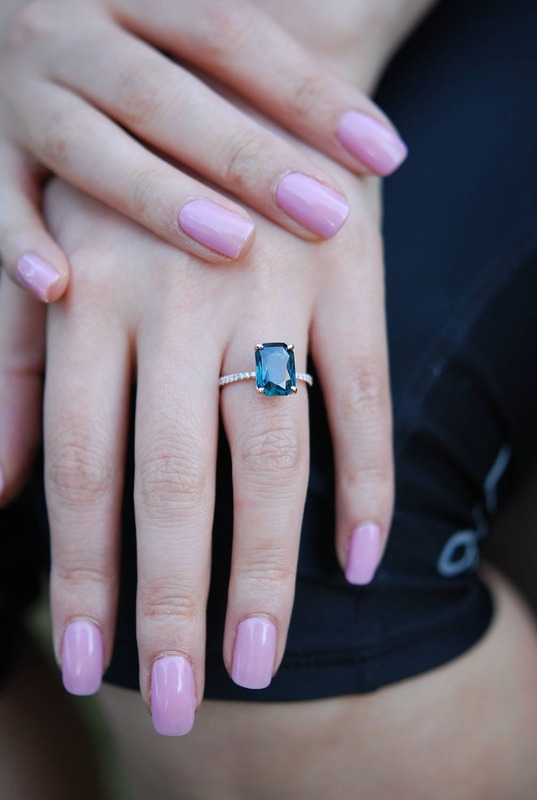 3.2ct emerald cut blue green sapphire ring diamond ring 14k Rose gold ring by Eidelprecious. 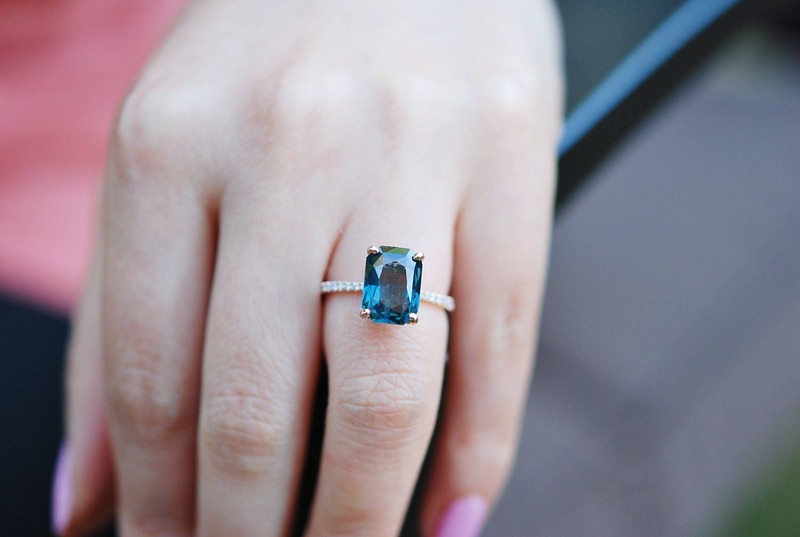 This 3.2ct sapphire is breathtaking! Unfortunately, the pictures do not give it any justice. The color is gorgeous deep peacock blue green. 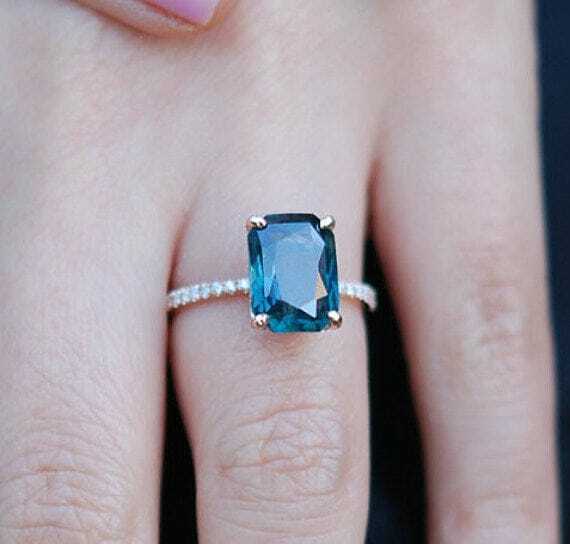 The sapphire is very beautiful and clean, tones of sparkles! 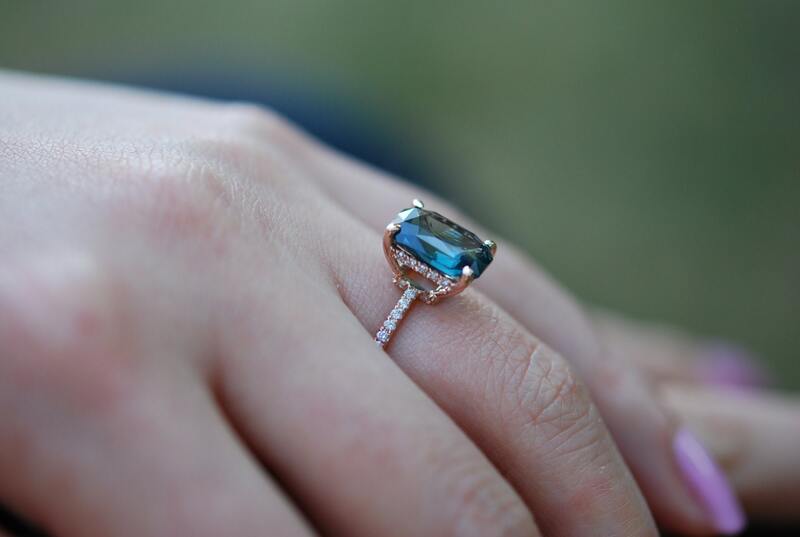 This beauty is set in my upgraded 14k rose gold diamond setting, VS/F diamonds.